Even with dozens of players remaining unsigned, spring training is just around the corner for the 30 Major League teams. After a slow offseason (putting it lightly), the San Diego Padres are packing their bags and heading up to Peoria for their time in the sun. 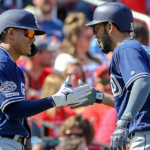 The Padres are in the process of ending a long rebuild and, as such, are trying to put the final touches on a roster that can start winning some ballgames. 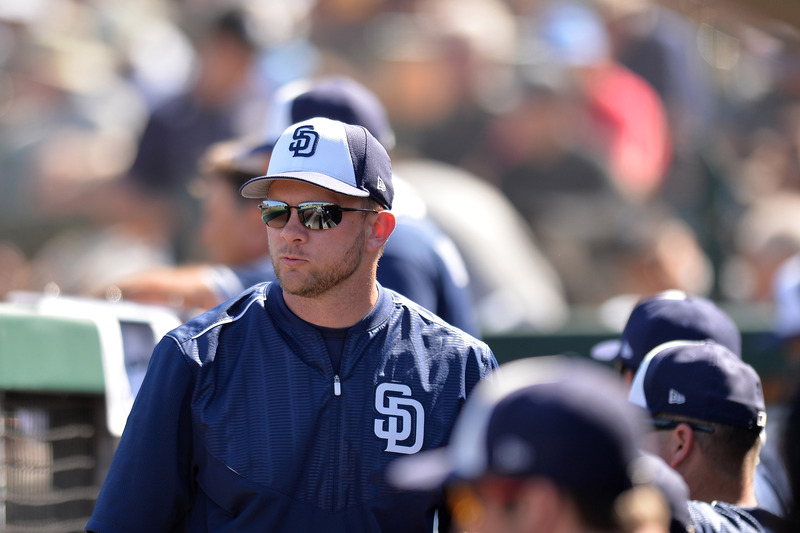 The 2019 season, however, brings with it numerous questions that will need answering, but Andy Green and his staff will have all of spring training to figure them out. Here are five storylines to watch for during the Padres spring training. How will the non-roster invitees do? 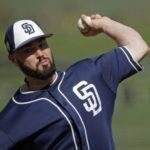 Every year since the rebuild began, it seems like the Padres get some surprising runs from their non-roster invitees who fight their way to the starting roster. Sometimes it is a seasoned veteran, like Adam Rosales in 2016 or Craig Stammen in 2017. Rookies like Franmil Reyes swooped on starting spots in 2017, while Adam Cimber came out of nowhere to earn a roster spot in 2018. So, who will be the next invitee to make the roster? Frankly, it’s tough to say. 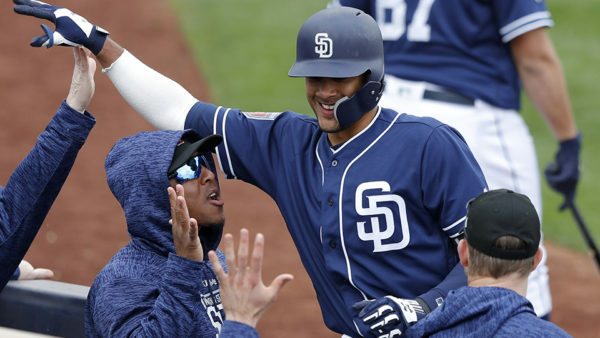 Uber-prospect Fernando Tatis Jr is back in Arizona to play with the big boys, but if the Padres want an extra year of control, they’d send him to Triple-A for a month or two. Jason Vosler and Esteban Quiroz are intriguing options to carve out a spot at third base, but they’ll have to do battle with Ty France for the spot. If anyone is going to make the roster out of spring training, it will be a pitcher. 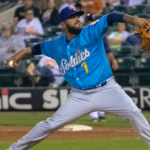 Joey Lucchesi did it in 2018, and 2019 may be another year where a prospect sneaks into the starting rotation. Logan Allen and Cal Quantrill stand to benefit after strong seasons in Triple-A and could pounce on an open rotation. If your name isn’t Joey Lucchesi or Eric Lauer, you’re going to have to fight for your right to start for the Padres. With three spots open and too many pitchers jockeying for them, who gets in and who has to buy a ticket for El Paso or Amarillo? Some of the clutter has been cleared in the offseason. Colin Rea was designated for assignment in November and signed a minor league deal with the Chicago Cubs, while Clayton Richard was traded to the Toronto Blue Jays after his 40-man roster spot went to free agent signee Ian Kinsler. Walker Lockett was shown the door after he struggled in his Major League debut. However, those are only three players. San Diego has wanted to sign a starting pitcher in the offseason, but the pitcher they did sign, Garrett Richards, will miss the 2019 season recovering from Tommy John surgery. 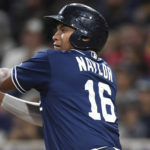 The former Angel is talented, but he will have to show that he is fully recovered in 2020 before he starts a game for the Padres. Expect Luis Perdomo, Bryan Mitchell, and Robbie Erlin to push for a spot. Perdomo was hit hard in numerous starts, while Mitchell floundered for most of the season, but saved his job by pitching 24 2/3 innings of 2.19 ERA in September. Erlin bounced back from Tommy John surgery and served as a long man in the bullpen, but he is capable of starting as he made 12 starts last season. Matt Strahm is trying to make the transition from reliever to starter and has gained 15 pounds in the offseason, while Dinelson Lamet is set to return by midseason, but won’t be close to full strength. 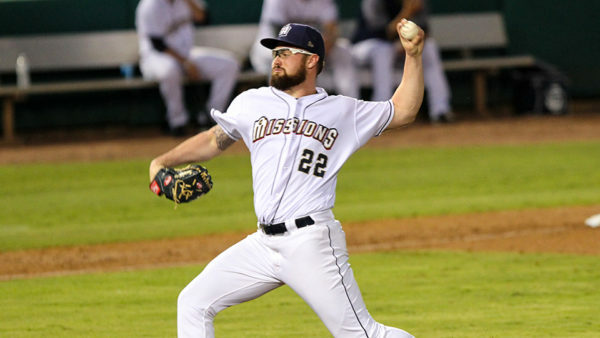 Allen and/or Quantrill could also secure roster spots with a strong spring performance, while Jacob Nix and Brett Kennedy will get their chance as well after struggling in their respective Major League debuts. 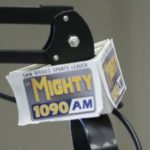 Realistically, if the Padres don’t sign another free agent, the roster will most likely feature one of Allen or Quantrill in the starting rotation, if not both. Whatever happens, it will be one of the youngest rotations in the Majors and will struggle at times, but they’ll get the job done. Who is the starting third baseman? The Padres have quite the motley crew vying for the third baseman’s spot this spring. Gone are the likes of Christian Villanueva and Cory Spangenberg, designated for assignment along with Rea and Lockett in the great November purge. Wil Myers, who manned the hot corner for 36 games at the end of the season, is transitioning back to the outfield, leaving few options for the Padres. The frontrunner at the moment is former San Diego State Aztec Ty France. France tapped into his power potential in 2018, hitting 22 homers and collecting a .216 ISO across two minor league levels, and he has a patient approach that some of the current Padres could take lessons in with his 11.8% walk rate in El Paso. He is going to have to earn his shot, though, while simultaneously fending off competition from Vosler and Quiroz. 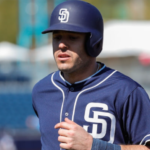 Kinsler could also be bumped into action when Tatis is called up to play shortstop and Luis Urias can play second. A France-Vosler platoon is a short-term solution that could blossom into something great, with Kinsler, Jose Pirela, and Greg Garcia filling in if the time calls. 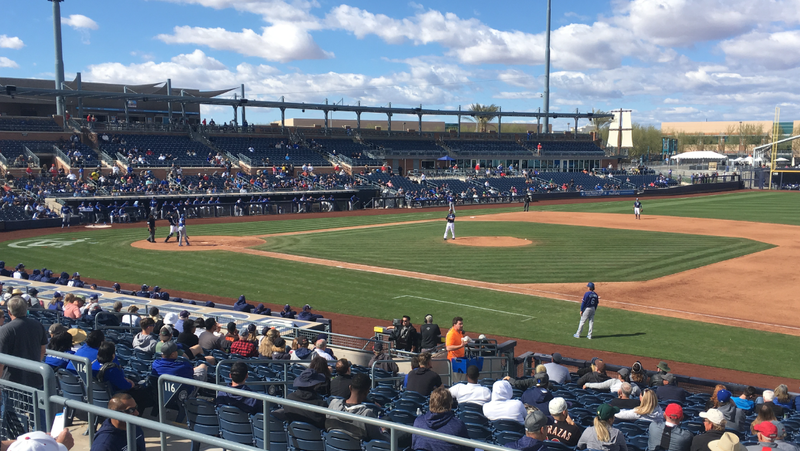 Worst-case scenario, the rookies struggle at the position and the Padres are forced to punt away the position and wait for reinforcements from the minors. Of course, there are some free agents still waiting to be signed, with players like Adeiny Hechavarria, Mike Moustakas, and former Padre Yangervis Solarte still on the market. There is also another big name free agent still out there but… we’ll get to him later. 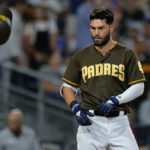 Signing either/both Harper/Machado would be great for the Padres. I think Machado doesn’t want to play for the Padres. He and agent are hoping Padres are going to pump up the price. Harper may sign with Padres- seems to want west coast being close to home (Las Vegas). I think getting Realmuto is unnecessary if they have to give up any of their top 5 prospects- maybe Meija if any. Sign Moose, sign Harper, sign Gio and wait for the youngsters to fill in the rest of the lineup. Seriously jaded take on Franmil vs Renfroe. You brought up that Renfroe improved and made it sound like his bat was better than Reyes’ just because he had more HRs. Franmil had a better WRC+, 60 points on Renfroe’s average and 90 on his OPS in the 2nd half. Matt Strahm has the potential to be excellent as a starter. His stuff is excellent. A pretty good summation of these subplots. But you leave out the big story line, that this team is not good enough to compete without bringing in players from outside the organization. When Fowler bought the team he promised to field a club that would compete for the WS every year. …. are you done laughing yet? As for Harper or Machado, it is not something to get work up about when 26 year olds exhibit occasional maturity issues. They are both great players, and the club should try to sign both. Acquiring Realmuto is not truly necessary. He’s a very good player, but in arbitration for only 2 more years. Without being able to sign him to an extension, a trade just doesn’t make a lot of sense. If we avoid the BIG SPLASH, sign Moustakas for 3B, park Reyes and Cordero in AAA for now, showcase Myers for a trade, fix Hosmer’s swing, and have a rotation if 5 best out of ST, all on a short leash. 2019 should be YEAR TO PUT UP OR SHUT UP, both in SD and down on the farm. Draft or sign the best 3B prospect in the WORLD, a must!!! !